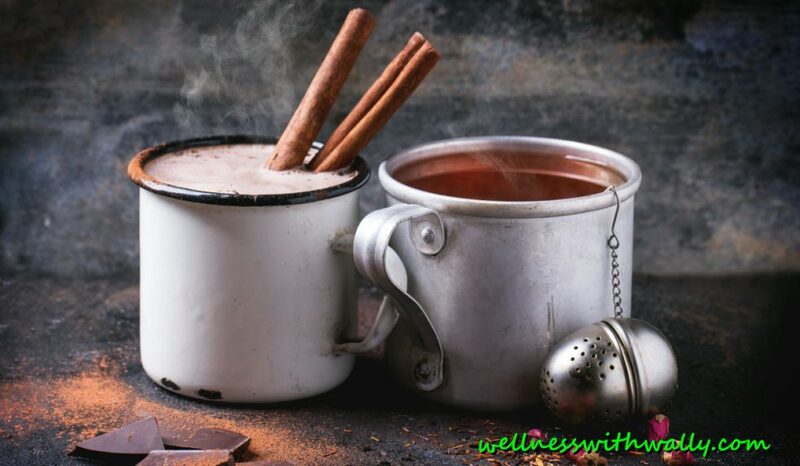 Spice Up Your Health With Cinnamon! April 2, 2019 April 2, 2019 Wallace Bishop I.N.H.C, C.N.C. I love the smell and taste of Cinnamon! It makes certain foods taste incredibly good. Let’s take a look at some of the properties of cinnamon, one of my favorite spices! I love the flavor and smell. As I am writing this for you I am sipping on a cup of hot chocolate infused with ½ teaspoon of Ceylon cinnamon and raw honey. Yum!! Cinnamon can be used in sweet dishes and in savory dishes. It is very versatile and has a very profound and enticing smell. In the winter it evokes the power of the Holiday spirit. However, I use cinnamon year round. 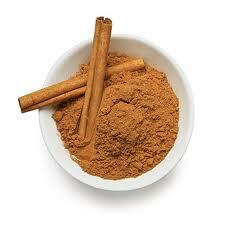 Cinnamon has been used as a spice and in Chinese and Ayurvedic medicine for thousands of years. Did you know in the Bible, Moses was directed to use cinnamon to make Holy Oil for anointing the sick. Cinnamon has very powerful antioxidant benefits. Cinnamon comes from the bark of a tree. Although there are four main varieties of cinnamon, Ceylon cinnamon and Cassia cinnamon are the most popular. Ceylon cinnamon is not as aggressive in its flavor and can be used in larger quantities providing greater antioxidant potential. The cinnamon from Ceylon is slightly sweeter, more refined and more difficult to find in local markets. If you are going to use and consume a lot of cinnamon I would only recommend you use the Ceylon variety. Just the smell of cinnamon may help you think better. Research led by Dr. P. Zoladz and presented April 24, 2004, at the annual meeting of the Association for Chemoreception Sciences, in Sarasota, FL, found that chewing cinnamon flavored gum or just smelling cinnamon enhanced study participants’ cognitive processing. No wonder I love the smell of cinnamon! Recent studies have found that cinnamon may have a beneficial effect on blood sugar. One of the first human studies was published in 2003 in a medical journal called Diabetes Care. Sixty people with type 2 diabetes took 1, 3, or 6 grams of cinnamon in pill form daily, an amount roughly equivalent to one quarter of a teaspoon to 1 teaspoon of cinnamon. After 40 days, all 3 amounts of cinnamon reduced fasting blood glucose by 18 to 29%, triglycerides by 23 to 30%, LDL cholesterol by 7 to 27%, and total cholesterol by 12 to 26%. Some of the health benefits of cinnamon are not conclusive particularly those surrounding blood sugar control. More research is needed. You can find more info regarding the confusion of studies at this site. I use Ceylon cinnamon a few times each day. I use it with honey and raw apple cider vinegar twice a day and in my hot chocolate twice a day. Enjoy your cinnamon and try using it in a variety of ways. It doesn’t take much to add a flavorful impact. The contents of this blog are not and should not be considered medical advice. This blog is for informational purposes only. Always consult with your doctor before making any dietary or lifestyle changes. Never quit taking prescription medications unless advised to do so by your doctor. Previous Post Easy Way To Reduce the Risk of Winter Infections!